With changes in weather condition our body also shows some changes. 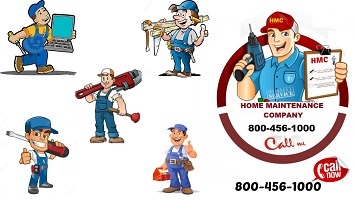 Common cold and cough are the common problems that can be easily seen in rainy season. 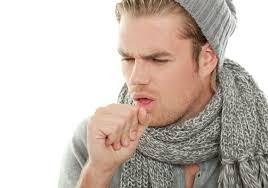 Cough is a common health problem. It creates a blockage in your throat and tells your brain that a foreign element is present there that should be removed. 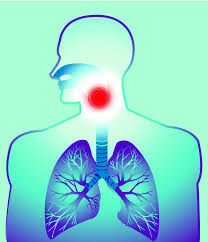 Coughing helps clear the throat, lungs and airway from foreign material. However, constant coughing is painful and irritable as well. Dry cough is generally referred as a cough that does not produce phlegm or sputum, but causes pain and dryness in the throat. Healthy people cough on occasion, which is perfectly normal. Drinking more fluids will help you feel better when nursing a cough. Staying hydrated is particularly important if you’re losing fluids through sputum or sweat because of a fever. 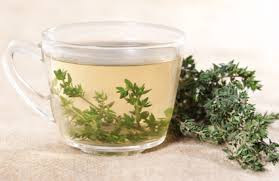 Warm drinks will also be helpful since they thin mucus secretions and keep your throat from feeling irritated. Once mucus secretions brake up, they’re much easier to cough up. 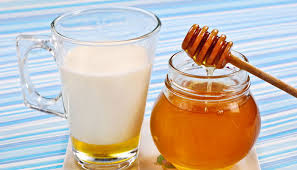 Hot milk with honey can relieve a dry cough and reduce chest pain you may be experiencing from continuous coughing. For best results, drink it before going to sleep. Just take a fresh ginger root, peel it and crush it properly. 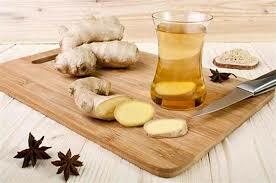 Boil a cup of water and add crushed ginger into it. Strain the solution and add some honey. Drink this solution three times a day. Lightly bruise the thyme, e.g. with a mortar and pestle, and then place in a mug. Cover with 8 ounces of boiling water, cover, and let it steep for 10-15 minutes. Add some lemon or honey to taste, and drink the whole thing. Repeat 2-3 times daily as needed. It’s absolutely delightful just before bedtime. For a more targeted steam, place a large bowl in your sink and fill it with hot water. Once it’s full, lean over the bowl. 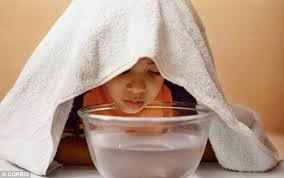 Place a hand towel over your head to help trap the steam around your face.